My mother in law and I went to Pastry Swan Bakery in Palm Desert on El Paseo. They made the best French Crepe I’ve ever had. It had Nutella and Strawberries with whipped cream. I decided to create my own crepe and they turned out wonderful. Bon Appétit! A couple weeks ago I stumbled upon the cutest antique store in Palm Desert. I found an old vintage picnic basket sort of like Little Red Riding hood that you can carry around a pie in. This gave me the idea to bake a pie. It turned out delicious for my first attempt. I made on 9-inch and a mini one in a small Pyrex bowl for my Mother in Law. Saving the second pie pastry for a banana cream pie! If you don’t want Paleo-styled chicken, you can dredge the chicken in Italian bread crumbs or Panko Crumbs. I tried all 3 ways to see which one my husband liked better. I loved the paleo style best and he liked panko 1st and paleo-styled 2nd best. 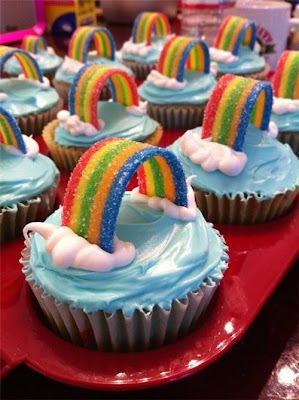 I saw these super cute cupcakes on Pinterest made by Day Dream Kitchen. They made them on cupcakes so I decided to make them on brownies for a friend’s birthday. They came out super cute.